KILLINGTON — The President’s Education Award is given to sixth graders based upon academic performance on report cards and tests plus teacher recommendation. The award is sponsored by the U.S. Department of Education, in partnership with National Association of Secondary School Principals, and was developed to help principals recognize and honor students who have achieved high academic goals through hard work and dedication to learning. 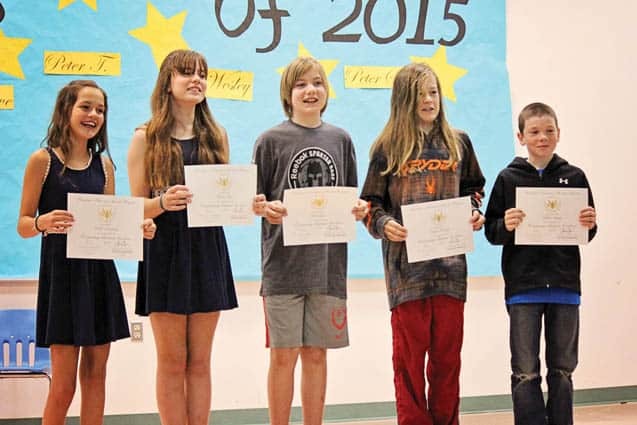 Killington Elementary School students receiving the award (pictured l-r) are: Taylor Crompton, Maeve Haff, Peter Sell, Taylor Plourde, and Wilbur Abrams.